Help your home stand out with new siding! We know there are many siding companies out there for you to choose from in Jefferson City and Columbia. Siding is an incredibly important part of protecting the integrity of your home’s exterior, which is why you need durable, versatile, top-quality siding from Midwest Renovation From vinyl siding to cedar shingles and cement clapboard, all of our options are long lasting, competitively priced, and pleasing to the eye. Midwest Renovation provides a long list of color options that range from soft pastels to rich, earthy tones. Many people want siding to match or enhance the architectural style and detailing of their homes. Our company offers a broad selection. Since siding is a major investment, you want the best money can buy. When you install with Midwest Renovation you get siding that not only looks perfect, but also provides a watertight seal that is tested and proven to be the best by certified experts in the field. The exterior of a Missouri home is exposed to the toughest elements there are. It is important to provide a protective barrier capable of withstanding moisture, heat, cold, winds of up 110 mph, and everything else. Our siding options do this and a lot more. They won’t rot, peel, dent, or show scratches, and they are manufactured to last. Our vinyl siding options are easy to maintain. They never need to be painted, can be cleaned with a simple garden hose, and uphold their original shape and setup through all the seasons. We have many other siding options including shingles, clapboards, and fiber cement. Our siding is competitively priced. The cost of installation on almost all our options is typically less than the cost at other siding companies in the area, and we are much easier to work with. We never give you the run around, and we love to pass the savings on to our local customers. 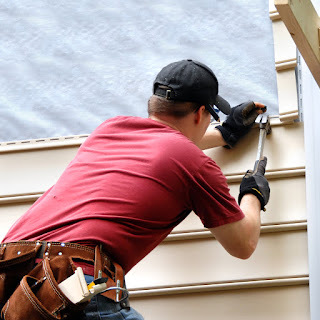 When re-siding, homeowners can often recoup 100% or more of their investment. Our company uses only high-quality brand siding from the most trusted names in the industry, which means you’ll experience greater savings from day one.